Home A/C not working? House too hot? 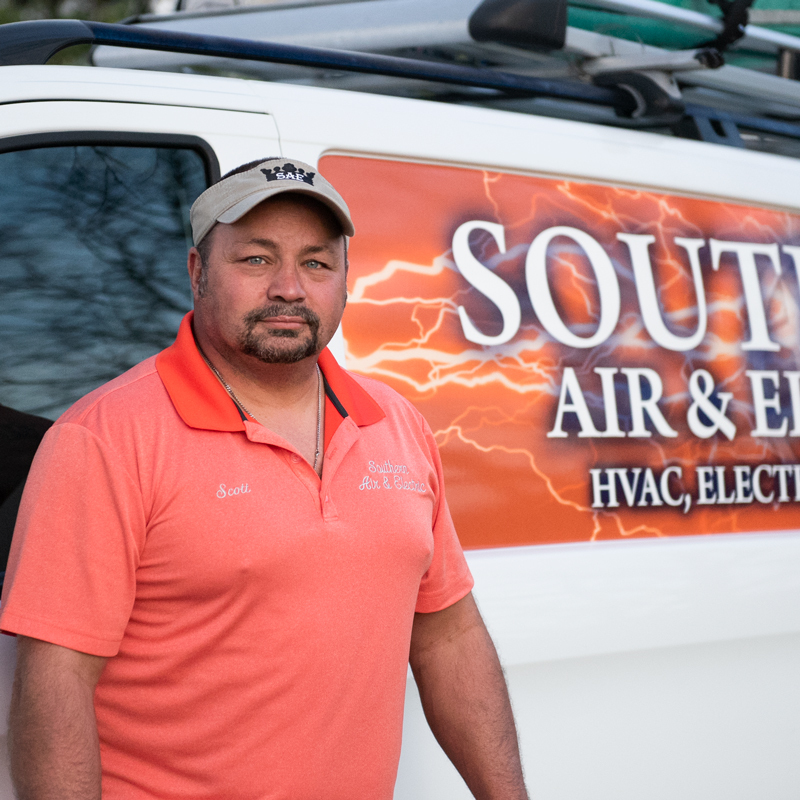 Southern Air & Electric helps residents in Murfreesboro and Middle Tennessee quickly fix residential cooling problems. Air Conditioning issues in your home? We've got you. Effective air conditioning is a critical component to enjoying the comfort of your home. Southern Air & Electric helps you stay cool by quickly diagnosing and fixing home cooling problems, from air conditioners, clogged ducts, and more. A/C on but still too hot? Your air conditioner might be under powered or need a tune up, depending on the age of the unit, it’s last service date, and the current season. It’s important to A/C units diagnosed by a residential cooling technician, as delayed fixes can cause shortened unit life. Does your air conditioner need maintenance? Industry professionals recommend getting air conditioners serviced every 12 months. Routine tune ups help preserve the life of the unit and save you money in the long run. Considering a replacement or upgrade to your home cooling system? We help customers make an informed choice so that they can save on utility bills and economically air condition their home. Is your cooling system broken? Thermostat seems like it’s cooling but no cold air coming from the vents? There are many different components in an air conditioning system. Common causes of a broken AC unit include low refrigerant, lack of maintenance, and thermostat requiring re-calibration. You should quickly get a air conditioner repairmen to your home to diagnose your issue. Meet Scott. Scott Helps people in trouble. Scott has been working as a home heating & cooling technician for over 37 years in middle, Tennessee. When he isn’t helping families maintain their home’s comfort, he’s spending time with his family.